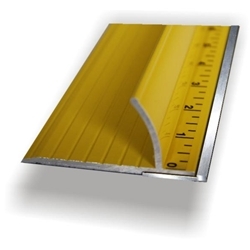 The tool steel is .069" thick by 1.25" wide, It is joined to the base and protrudes from the side of the ruler. Trim fast. Trim straight. NO LOCAL PICK UP FOR THIS PRODUCT.